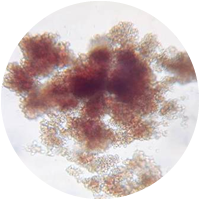 CFC assays are well characterized and validated in vitro assays that can detect an increase or decrease in the frequency of hematopoietic progenitor proliferation and/or changes in differentiation potential in response to stimulatory, inhibitory or toxic agents. This is in sharp contrast to simple proliferation assays, which only provide an aggregate readout of all proliferating cells and cell types within a bulk culture. The FDA and other regulatory authorities are increasingly requesting these types of assays be performed with drug candidates prior to Phase I clinical trials in order to assess the potential hemotoxic liability of the compounds. Since cultures are assessed morphologically by highly trained microscopists, distinct progenitor lineages (myeloid, erythroid and megakaryocytic) can each be discriminated and lineage-specific effects of compounds can be detected. For example, decreases in myeloid colonies (CFU-GM) correlate with clinical neutropenia. Decreases in erythroid colonies (CFU-E and BFU-E) correlate with clinical anemia and decreases in megakaryocyte colonies (CFU-Mk) correlate with thrombocytopenia. If desired, colonies can be individually removed from the semi-solid growth matrix for genomic and/or phenotypic analysis of the (clonal) cell population. 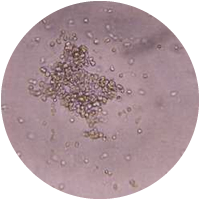 The CFC assay has been found to be particularly valuable at predicting drug-induced neutropenia and myelosuppression and determining maximum tolerated dose (MTD). 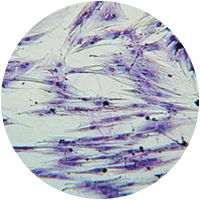 The CFU-GM assay has been validated by the European Commission for Alternative Methods (ECVAM). The CFU-Mk assay has been prevalidated with support from ECVAM. Multi-drug chemical entities were evaluated that include immunosuppressive compounds, anti-neoplastics, anti-virals and pesticides. 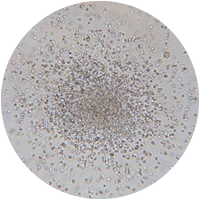 Note: The CFU-Pre-B assay is available using mouse progenitor cells only. 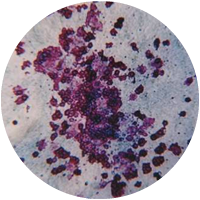 The CFC assay can be used in the cancer stem cell field to study leukemic-CFC and CFUs. 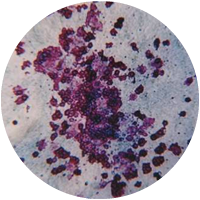 While certain leukemic CFCs are morphologically distinct and can be visually distinguished from their normal counterparts, others look very similar to normal CFCs and can be confirmed as cancer CFCs by additional criteria in downstream assays (e.g. cancer cell-specific surface phenotype by flow cytometry, presence of leukemic genetic translocation by FISH analysis and/or other molecular analysis; serial replating ability in secondary CFC assays, etc.). Novel compounds may be tested alone or in combination with current standard of care drugs. Please click here for more information about our assays for cancer stem cells and leukemic CFCs, or CONTACT US to be put in touch with one of our scientists to discuss your particular needs. 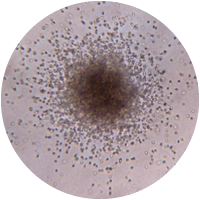 ReachBio Research Labs can perform CFC assays and other hematopoietic stem and progenitor cell assays using cells from multiple species. Please CONTACT US to learn more about what Assays we can perform for your drug candidate(s).